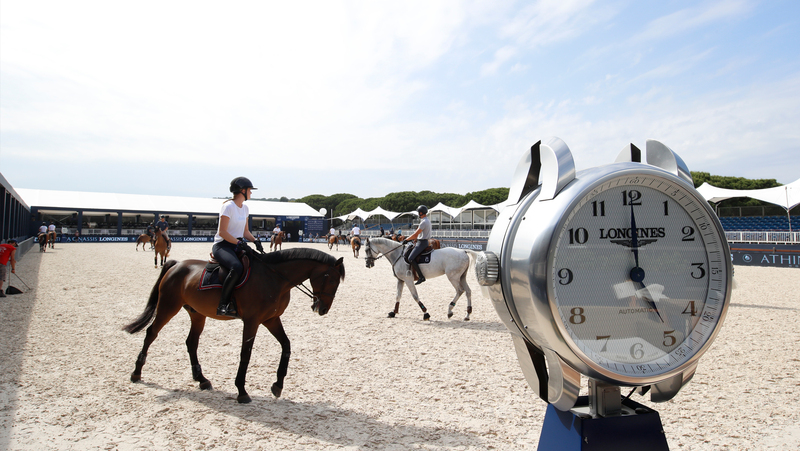 The first round of GCL Saint Tropez, Ramatuelle, kicks off today with the world’s best taking to the first of the French legs on the Championship calendar. Taking place at 17:10 local time, teams will be putting forward their star combinations as riders aim to earn a strong position in Saturday’s final, with combined scores carrying through. Following the official draw, Miami Celtics pairing of Jessica Springsteen and Shane Breen will be the riders in prime position this afternoon, last to go in the order and with all the pressure on the shoulders of Springsteen as second of the two teammates. Home city team St Tropez Pirates drew 6th to start, with Edwina Tops-Alexander and Pieter Devos teaming up for the opening round of the GCL Saint Tropez, a formidable pairing both with their top horses California and Apart. Third in the overall rankings, the team will be keen to bring home a strong result at their local event, looking to leap ahead of Valkenswaard United in second. However 2016 Champions will be pulling out all the stops, with Alberto Zorzi and Fair Light van T Heike and Bertram Allen with Gin Chin van het Lindenhof taking the reins for the first round. Current ranking leaders London Knights have the heavyweight duo of Ben Maher with Winningood and Olivier Philippaerts with H&M Legend of Love and pulled 13th to go in the draw. The Berlin Eagles drew the short straw as first to go, with Olympic legend Ludger Beerbaum the pathfinder for the team before handing the reins to U25 talent Ben Asselin. Other ones to watch will be Paris Panthers, who are 15th to go and have Nayel Nassar and Darragh Kenny in action. Shanghai Swans will start 17th, with the heavyweight duo of Pedro Veniss and Daniel Deusser teaming up for the second time this season.